From the creative minds of CreepyLA and Theme Park Adventure, comes an all-new chapter in terror: Midsummer Scream Halloween Festival. 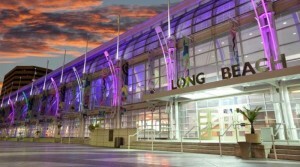 This weekend-long celebration of everything Halloween, haunts and horror makes its debut July 30-31 at the Long Beach Convention Center in Long Beach, California. Tickets go on sale soon, and new information regarding Midsummer Scream is being updated daily at MidsummerScream.org. Fans may sign up on the site for email notifications and announcements, including discounts and other special offers. Be sure to follow Midsummer Scream on social media as well – Twitter/Periscope: @MidsummerScream, Instagram: @MidsummerScream, and Facebook: facebook.com/midsummerscream. Former producers of ScareLA, Midsummer Scream’s creators are David Markland, Executive Director; Gary Baker, Executive Producer; Rick West, Creative Director; Johanna Atilano, Producer; and Claire Dunlap, Associate Producer. This entry was posted in Haunted Attractions, Home Page, Home Page Slider, News, TPA Events and tagged David Markland, Halloween, Midsummer Scream, Rick West, ScareLA. Bookmark the permalink. See you there and good luck, guys. Looking forward to it. Can we wear costumes when we attend the event in Long Beach (July 30-31)? YES! By all means! We highly encourage costumes and cosplay! No functional weapons or projectiles, of course. But YES! And our Saturday night party, Noche de los Muertos, is The Best and Worst of the ’80s – so we want to see people get crazy creative! If you are only able to attend the Noche de los Muertos on Saturday (Boingo Dance Party), do you have to pay for admission to the festival as well as the $30 for the party, or can you purchase just the tickets for the Saturday night show/party? Tickets are available on the Midsummer Scream site for the Noche de los Muertos party; you do not need to attend/hold tickets to the convention to attend. If you do buy show tickets, your Boingo ticket will be $10 less online at the time of purchase. We will also be selling tickets at the door! Hi, I purchased tickets and I see the charge on my account but never received the email with my tickets. I’m guessing I typed my email in wrong. I cant find a number anywhere to have some one help me with this. The best way to handle this is to leave a message on the Midsummer Scream Facebook page – send a message there and someone will assist you. Thanks – see you this weekend! You list two general admission prices with no differentiation in description. Is the $30 for Sat and $25 for Sun? Yes; that is correct. The only difference in description is that one is Saturday, one is Sunday. Sundays typically are priced a hair less. Please send all further questions via message on the Midsummer Scream Facebook page; we won’t be checking this site any further this weekend for questions. Thanks! see you soon! I sent in a media pass request earlier this week via Midsummer Scream’s online form, but still haven’t heard back. Please respond as soon as possible. Thanks! What’s included in general admission ticket for Sunday? Do we pay extra inside to view attractions? My wife and I attended the entire weekend. We are huge Halloween enthusiasts and we were completely amazed at how well your first year went off. We attended Scare LA from the beginning and then we found you. We both agreed that this venue, the exhibits, the panels, the talent and even all the volunteers were exceptional. For your first year doing this event Inhave to say was absolutely perfect. I look forward to the many years to come. You all did an extraordinary job putting all of this together in such a short time frame. So all the blood, sweat and sleepless nights were all worth it. We also LOVED the fact it was affordable. We truly hope that never changes. Thank you again. Keep up the great work. Thank you for the great words and support, Sean! It means the world to us – and we can’t wait for what comes next! Sorry for the delay in response – we were so busy running the convention, we could barely do any social media, let alone open up the website comments. Hopefully, you attended and had a blast! Sorry – you likely submitted past our cut-off leading up to the convention. This is the first time we have had an opportunity to open up TPA and see any comments from this weekend; it’s been extremely busy for us as producers – hopefully, you were able to attend. Can a child attend this event? Children 12 and under are free with a paid adult admission. We have a kids area that has fun arts and crafts, as well as activities like friendly monster meet-and-greets. It’s really up to the parent to decide – especially when it comes to other components of the convention, such as Hall of Shadows or some of our live performances. If the child is very young, we recommend using extreme caution in any situation where he/she may be easily frightened by people in makeup, roaming “monsters”, etc. This also pertains to our panel presentations, where those around you will not want a fidgety toddler or crying infant. So, the answer is yes – and if they’re game, even put them in costumes! Just never force a child if he/she is afraid, and keep mindful of your surroundings and the comfort of all other convention attendees when making your decision. No one under 21 will be admitted to the Dark Harbor Sinister Circus party on the Queen Mary Saturday night the 29th; keep that in mind as you plan, too. NOTE: This is the 2016 story you are looking at/replying to. That said, the child policy has not changed since last year. Thanks – see you in a few weeks in Long Beach! Hello, I would like to know if the Saturday Night Party ticket includes the General admission tickets or those are separate to buy? Hi there – you’re commenting on last year’s Midsummer posting, so I first want you to be sure that you are talking about THIS year’s show, which takes place July 29-30 in Long Beach. The Saturday night party is being hosted by the Queen Mary on the ship, and that does require a separate admission; details can be found on the Midsummer Scream website or by Googling Dark Harbor Sinister Circus. Thanks! See you in a few weeks! Do we need to register or pay for classes and workshops or is it 1st come 1st serve? Does the front of the line pass get us in 1st? Midsummer Scream’s general classes and seminars are all free, and are first-come-first-serve. We have never charged for general education at Midsummer. Thanks – see you in Long Beach on July 29 and 30! Hi there. Can’t wait for the show. Will the site post prices for autographs and photo-ops? Thanks again for your time. First things first – this comment is showing up on LAST year’s show post; Midsummer Scream 2017 is going to take place this year July 29-30 at the Long Beach Convention Center. That business out of the way… we do not dictate or coordinate pricing that various celebrities charge for photos, autographs, etc. That is completely at their discretion, and will be posted at the tables where they are located. Thanks for asking – be sure you show up on the 2017 dates! See you in Long Beach! This is the premier venue for all of the Southern California major attractions to share with fans, yes. Whether or not a park releases exclusive information such as a maze reveal, etc. is up to them; we certainly encourage it, and have provided the best platform for it anywhere. Note that you are commenting on a post from 2016. 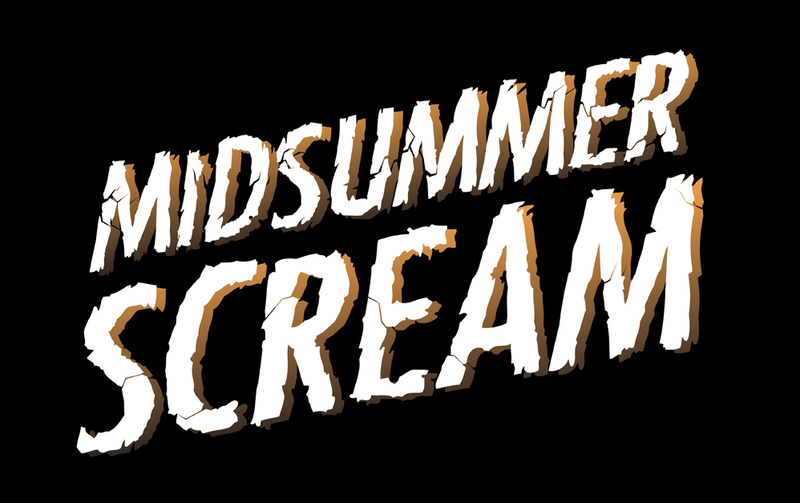 THIS year’s Midsummer Scream event is July 29-30 in Long Beach. Be sure to check out the website at http://www.midsummerscream.org to plan your weekend! I hope it’s not too late to ask…regarding costumes, are empty glass bottles okay? If I was say, portraying a bartender from a movie…? Thanks! No; that wouldn’t be allowed into the building by security. Best to stick with plastic and keep everyone safe. And note – this post is on last year’s event; THIS year, Midsummer Scream is July 29-30. I just purchased tickets for sat and it was to be for sunday but I cant get a hold of anyone. is there a contact number???? Sorry to be just getting this now – folks with ticketing questions had been contacting Midsummer via Facebook, etc. and the team had been responding even during the show. Hopefully, that was a route you took as well. Sorry to hear of this just now.